Hello! Thank you for visiting my site. I believe an athlete is only as good as his or her community and now I have a way to reach people all over the world. Training hurdles: I've had my fair share of hamstring injuries, although not since I transferred back 2014 (knock on wood). There is nothing worse than not being able to run, so it makes you appreciate the good and bad training days. Favorite foods: VEGETABLES. Always. All different kinds. And then steak, eggs, and pastries. In that order, but not necessarily together. Is coffee a food? Hobbies: Socializing (meeting for coffee, beer, a sporting event.. doesn't matter. What matters is the conversation. ); Reading; Movies, Photography; Electronics; Learning via Lynda.com, iTunesU, Youtube, or podcasts. Favorite movie: That is tough!!! I once watched the IMDb top 100 Greatest movies of all time and basically agree with nearly all of those. Anything by Woody Allen or Wes Anderson. Annie Hall? Good Will Hunting? I don't know. Dream vacation: I really want to go skiing in the Alps as well as see the Northern Lights. If I could combine those two then yeah that would be a dream. Favorite place to compete: Depends on the season. I loved Madison, Wisconsin for XC because of the fall foliage and brisk air. For track, I really enjoyed the indoor season of 2016 because of the House of Track facility in Portland, OR. Hopefully they bring that back! Favorite holiday: Christmas. Not so much because of the presents, mainly because I'm on break from school and like being with family! Warm up song: I checked iTunes and on my "warm up" playlist the song that is most played is F**kin' Problems by A$AP Rocky. I can't relate to anything being said in the song but man it gets me hyped! I most enjoy competing against: The best. High pressure meets with great competition is what makes the sport fun for me. After competition indulgence: Big fan of IPAs - My favorite being a Martin's IPA from Belgium. I highly recommend it if you like IPAs! I have come a long way since I started running my junior year of high school. Watch the 2010 Kansas Relays 800m here, my break out race. Born and raised in Manhattan, KS, Reid attended Manhattan High School where he was a track and cross country standout. Though basketball is his first love, and he also played football, Reid found running his junior year and his talent was recognized state-wide. Reid was a 4-time Kansas state champion and set school records in distances ranging from 800m to 5k. From there, he transitioned to the University of Kansas to run with the Jayhawks, where, he states, "The first three years of my athletic career were filled with injury and disappointment while I was at the University of Kansas." In the summer of 2014, Reid decided to quit the sport altogether, however a transfer to the University of Portland proved to be life-changing. Under the tutelage of Rob Conner, Reid's running career was saved, and of Conner, he says, "He will forever be my greatest mentor." 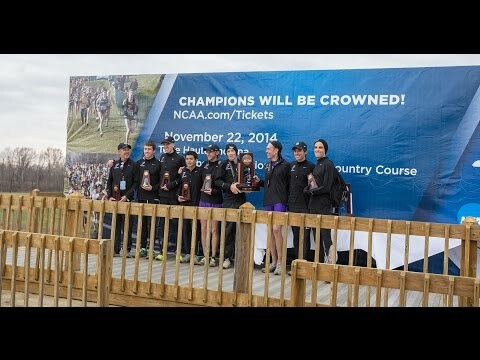 Upon graduating from Portland in 2016, Reid would not only comeback from his injury troubles, but notch a 5th place finish in the 10k at NCAAs (which he had run for the first time only a month prior), help bring home a 3rd place team trophy at the 2014 NCAA XC Championships with an All-American honor, and hang a degree in Electric Engineering on his wall. His degree earned Reid an engineering position with an MPE firm in Portland, however he chose the path of running, and turned the position down. Now Reid will make running his top priority for the first time in his life as he currently trains with the elite Mammoth Track Club in Mammoth Lakes, CA. Reid hopes to one day use his engineering degree to keep connected with the field of running, using his knowledge to create wearable technology to assist in training. As if this were not enough, Reid likes to keep his mind preoccupied with books and movies, and enjoys connecting with others in conversation about any topic. On keeping his rhythm, Reid says, "I am habitual and like to have a schedule every day; I find myself most productive when this is the case."